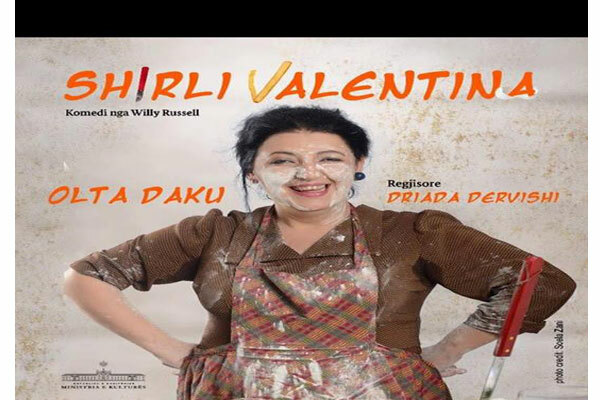 Olta Daku, with the comedy "Shirley Valentine", directed by Driada Dervishi, returns back on stage at National Theater on 21-22-23-24 March at 7 pm at ArTurbina. "Shirley Valentina" is one of the most successful works of English author Willy Russell, who has been in the repertoire of English theaters for three decades. The British romantic comedy-drama " Shirley Valentine", play of the same title follows middle aged Shirley in an unexpected discovery of herself, and rekindling of her childhood dreams and youthful love of life.